PI099. 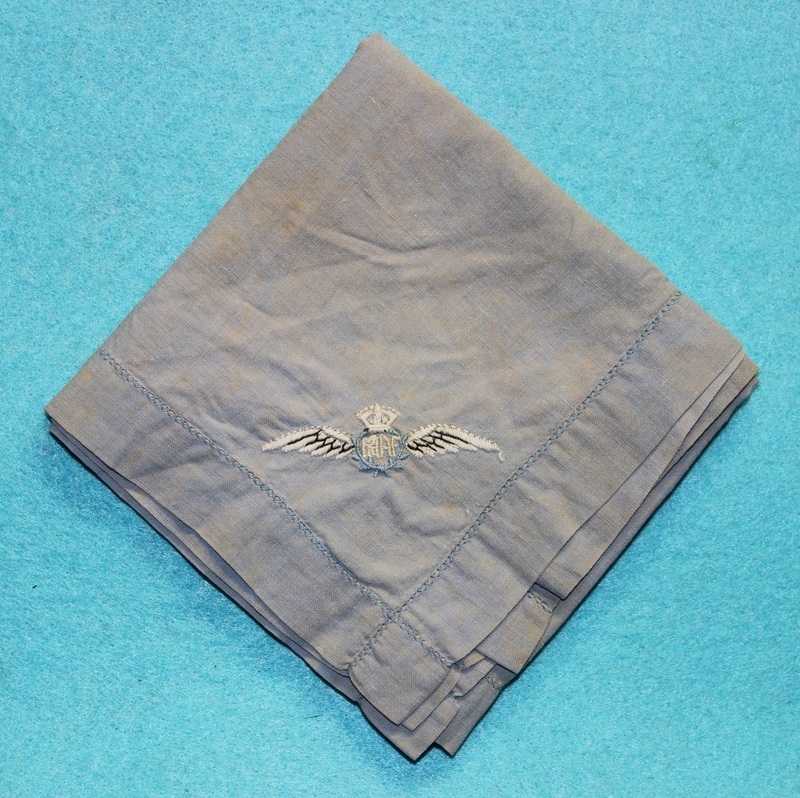 A light blue man’s handkerchief with a black, white & blue embroidered pilot’s badge. It is marked D Harris, Ballarat. PI099. It is marked D Harris, Ballarat. PI100. 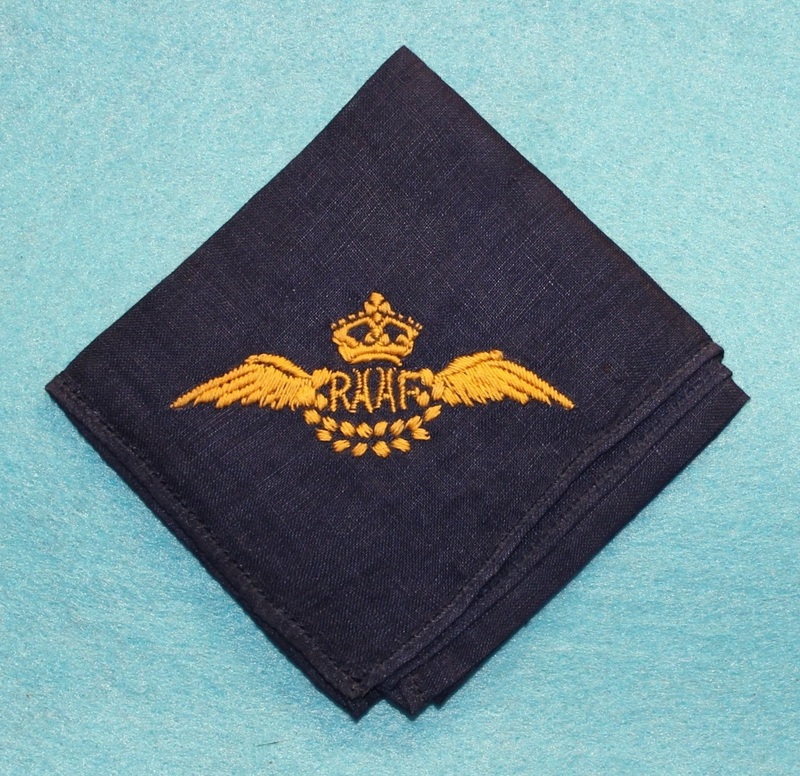 A dark blue man’s handkerchief with a blue & white embroidered pilot’s badge. PI101. 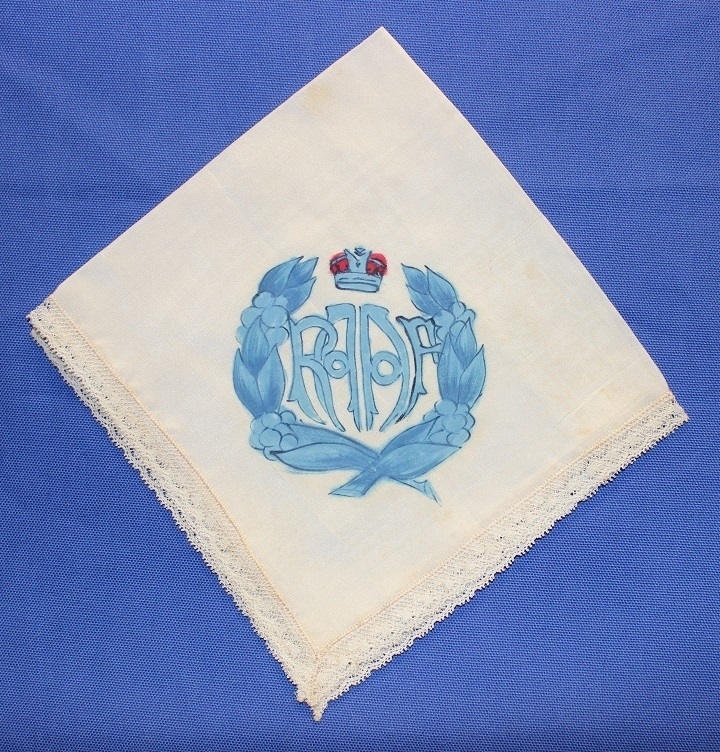 A white ladies handkerchief with an ink drawing of a ranks cap badge in blue and red. PI119. 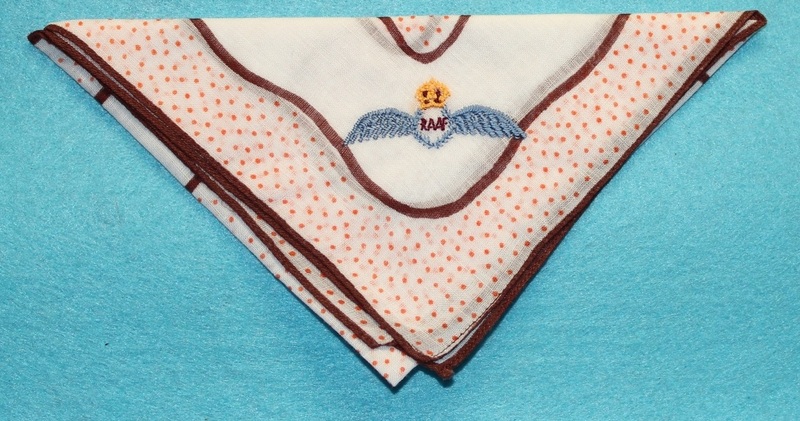 An orange and white ladies handkerchief with a blue and gold embroidered pilot’s badge. PI121. 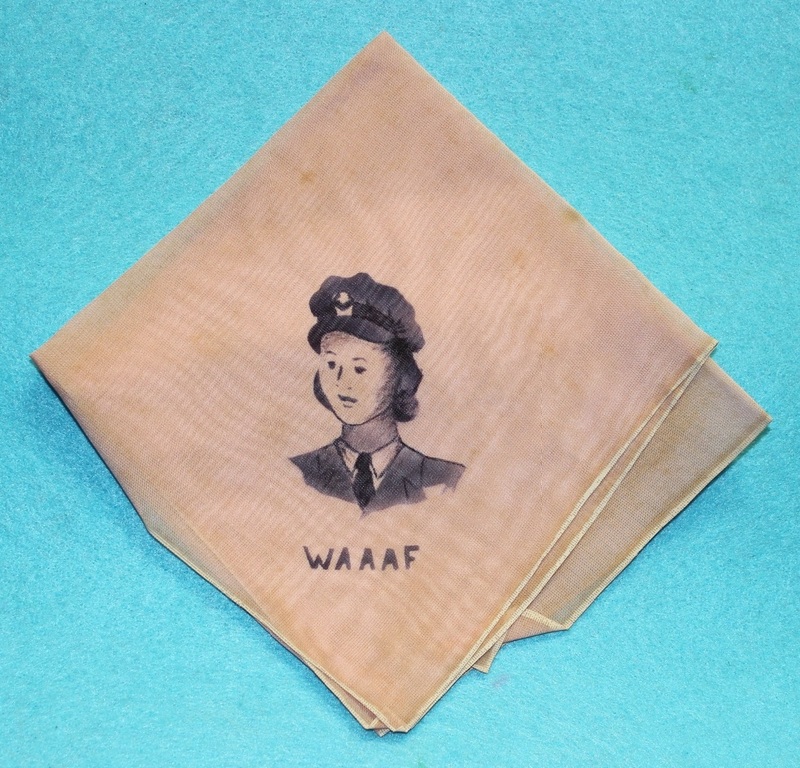 A pink ladies handkerchief with an ink drawing of a WAAAF officer and WAAAF. PI140. 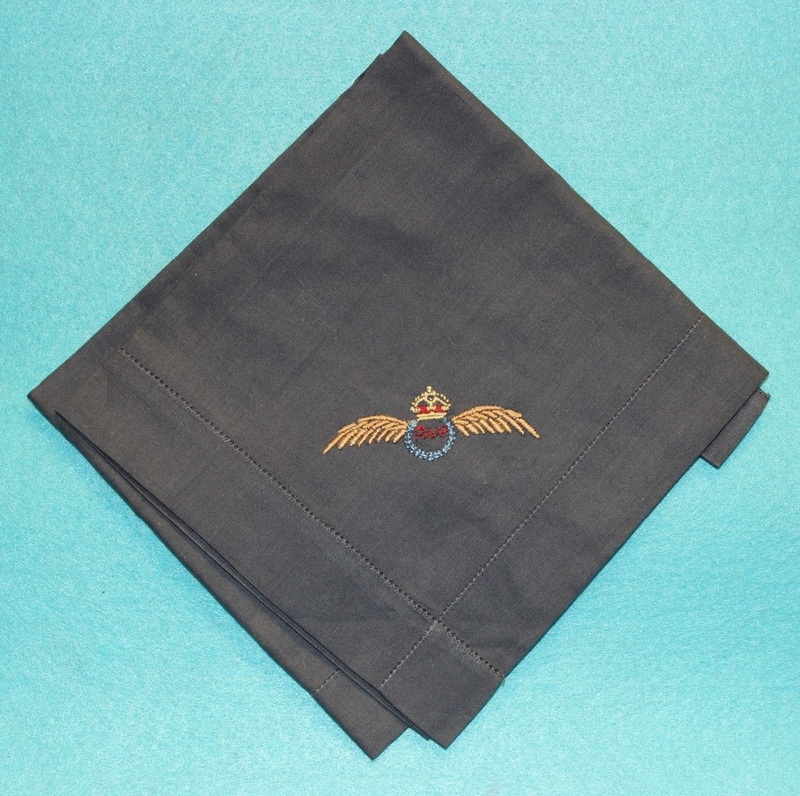 A small dark blue ladies handkerchief with a gold embroidered pilot’s badge. PI147. 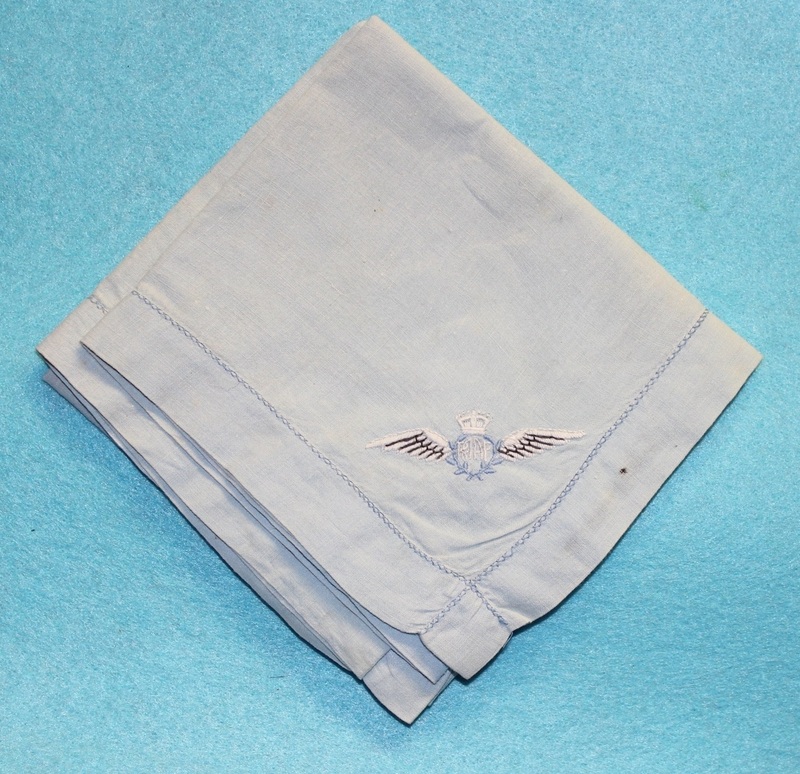 A light blue man’s handkerchief with a black, white & blue embroidered pilot’s badge. PI170. 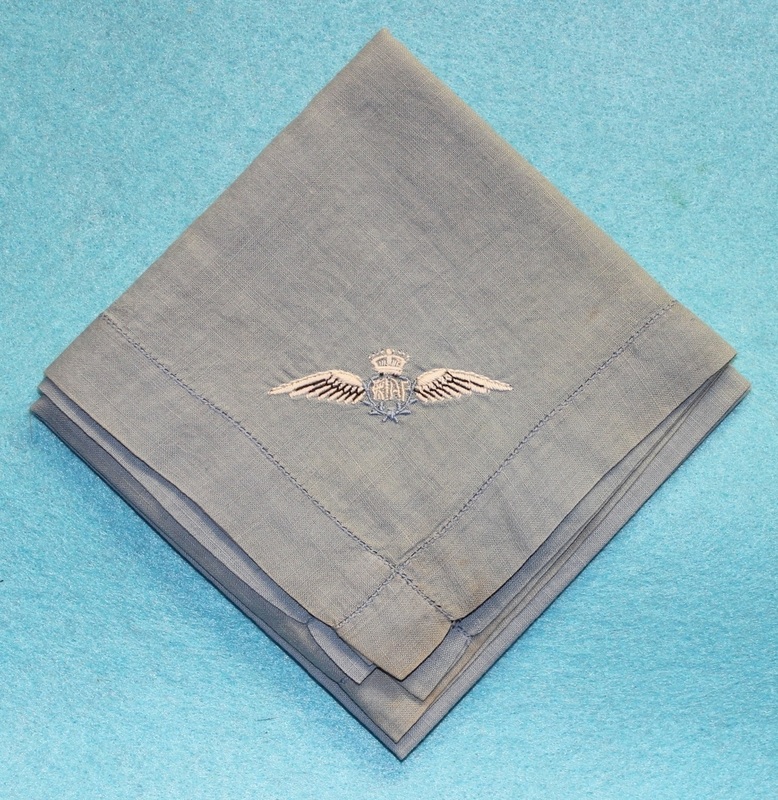 A grey man’s handkerchief with a blue & white embroidered pilot’s badge. It is marked 416948 Brown W H RAAF. PI170. It is marked 416948 Brown W H RAAF. 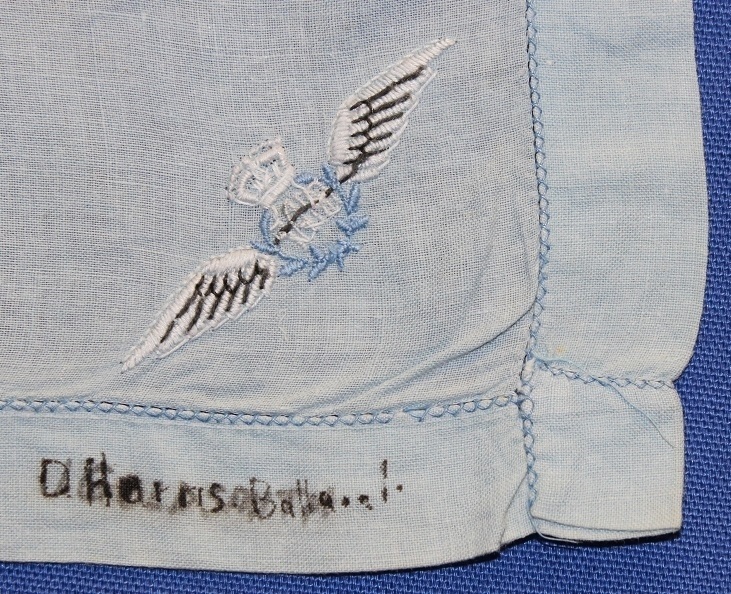 William Haig Brown enlisted on 8 Nov 1941 at Adelaide and discharged on 3 July 1946 from Southern Area Headquarters with the rank of Flying Officer. PI204. 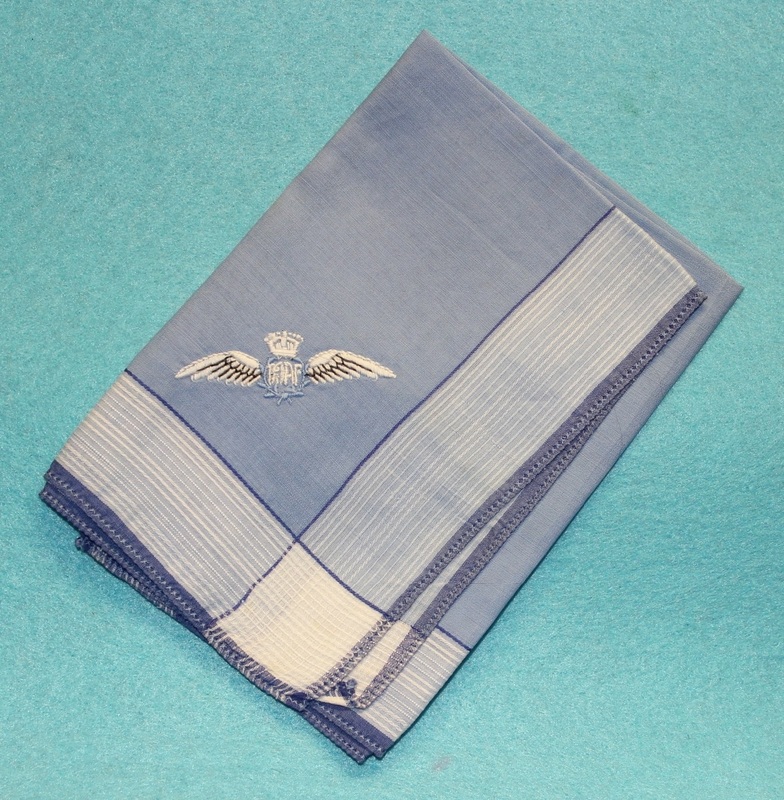 An light blue ladies handkerchief with a black, white & blue embroidered pilot’s badge. PI205. 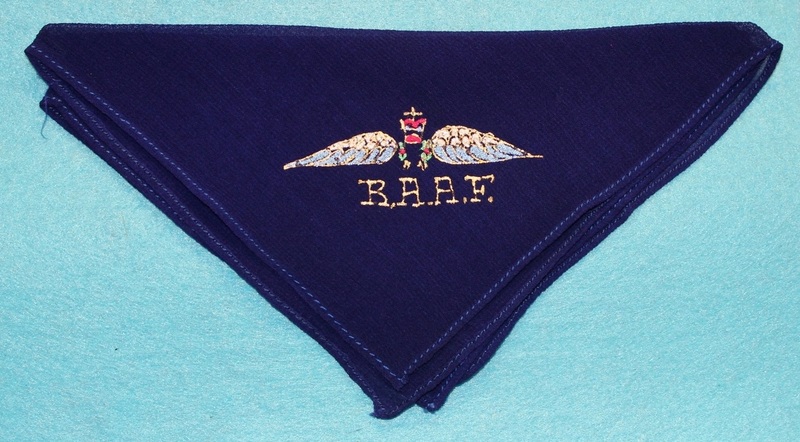 A dark blue ladies handkerchief with an applied coloured pilot’s badge. PI263. 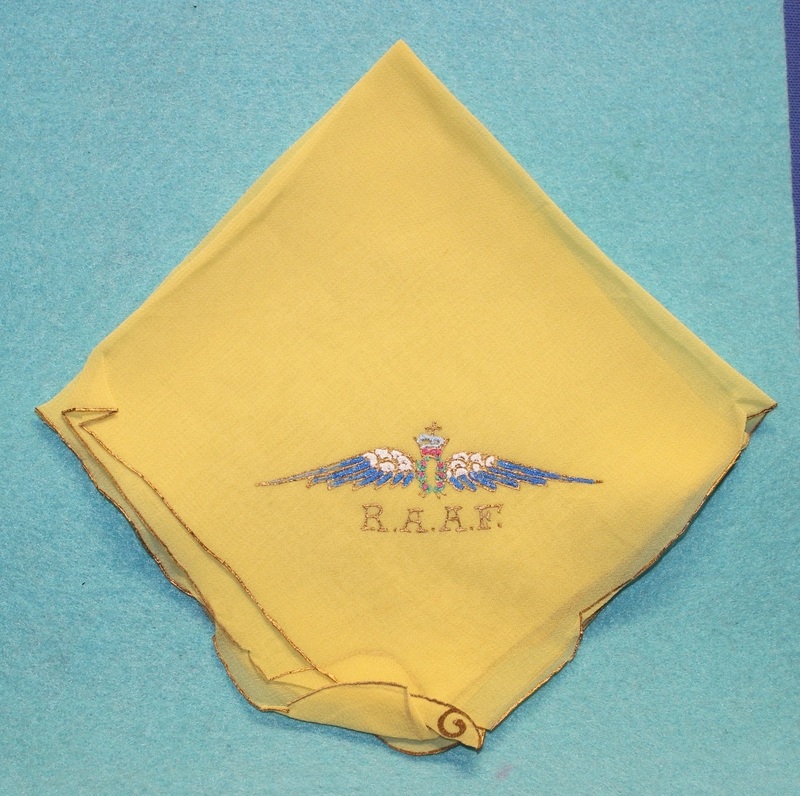 A yellow ladies handkerchief with an applied coloured pilot’s badge. PI348. 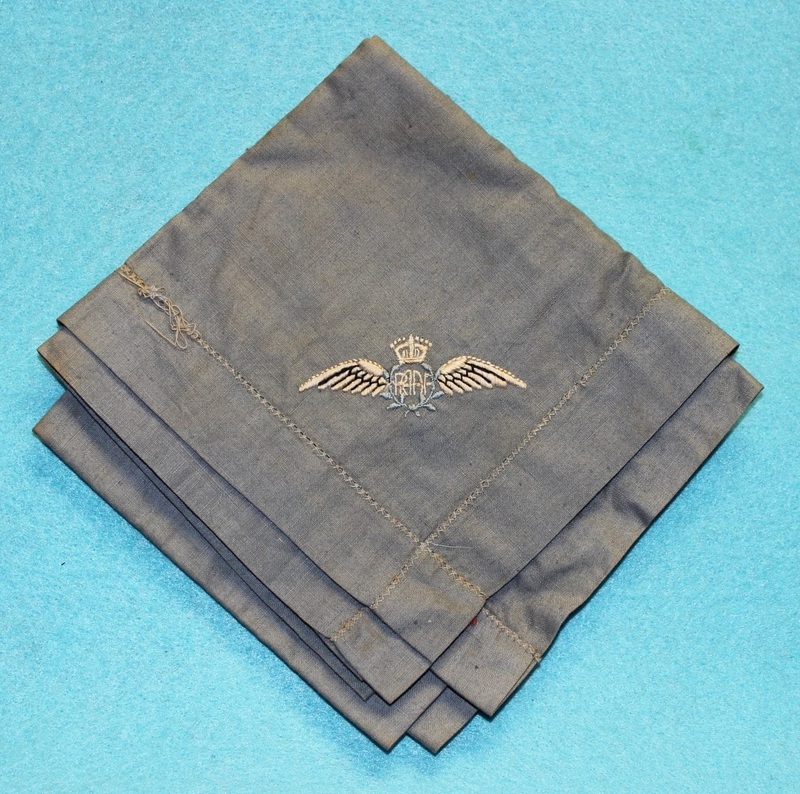 A light grey man’s handkerchief with a black, white & blue embroidered pilot’s badge. PI358. 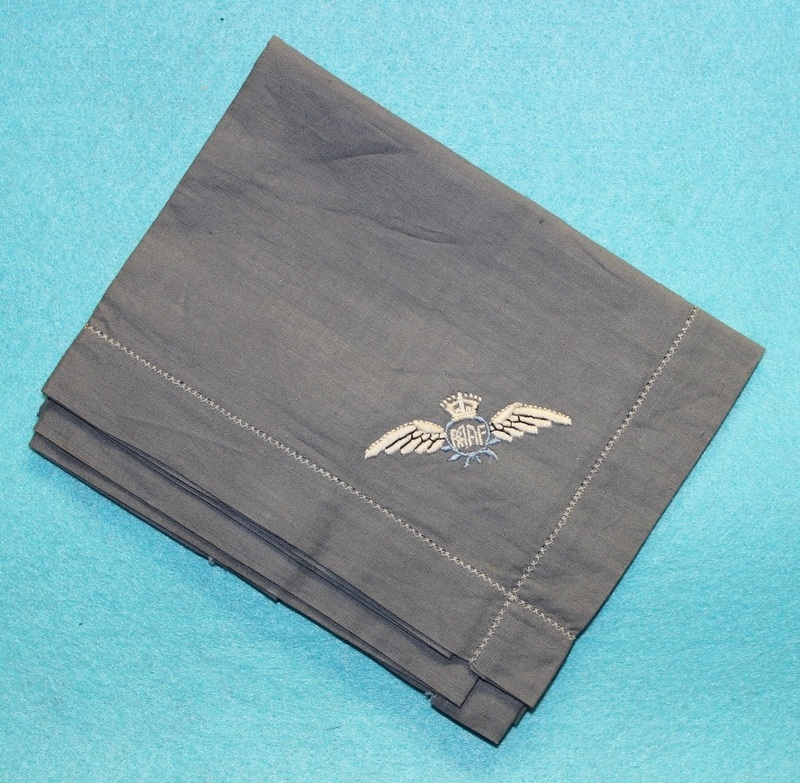 A dark grey man’s handkerchief with a black, white & blue embroidered pilot’s badge. PI365. 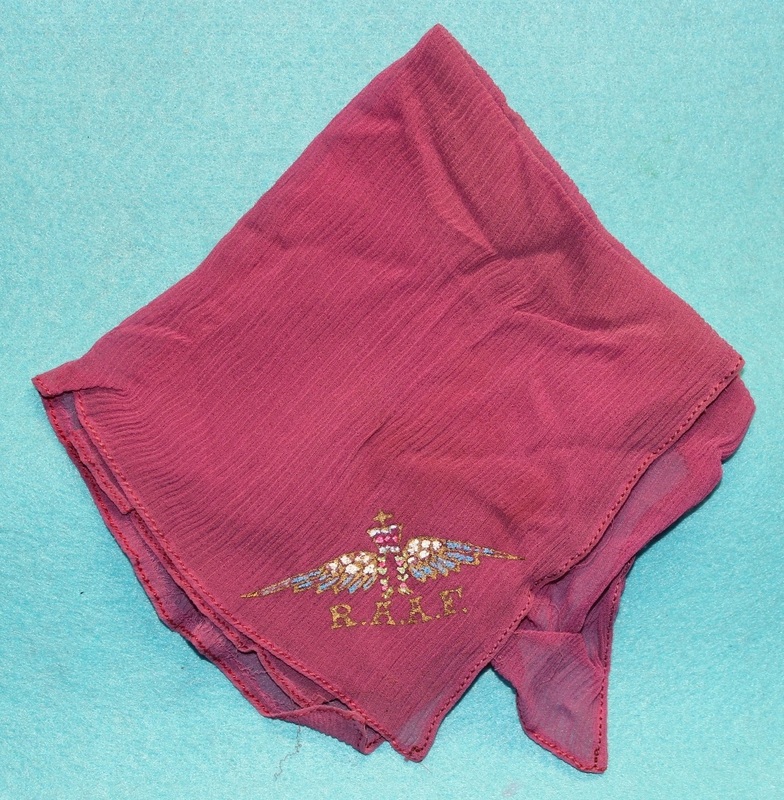 A cherry red ladies handkerchief with an applied coloured pilot’s badge.